The Rev. 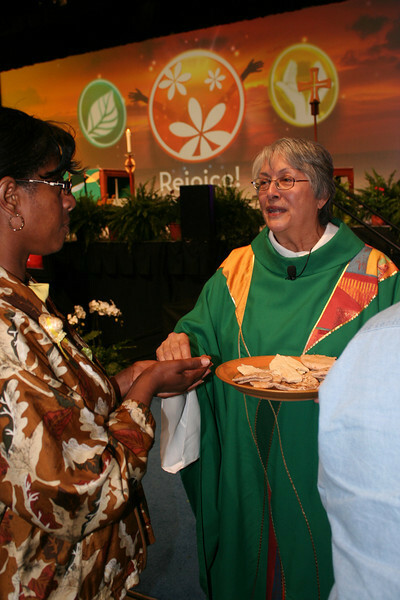 Mary Louise Frenchman serves communion at the Saturday night closing worship. Mary Louise was the presiding minister for that service.